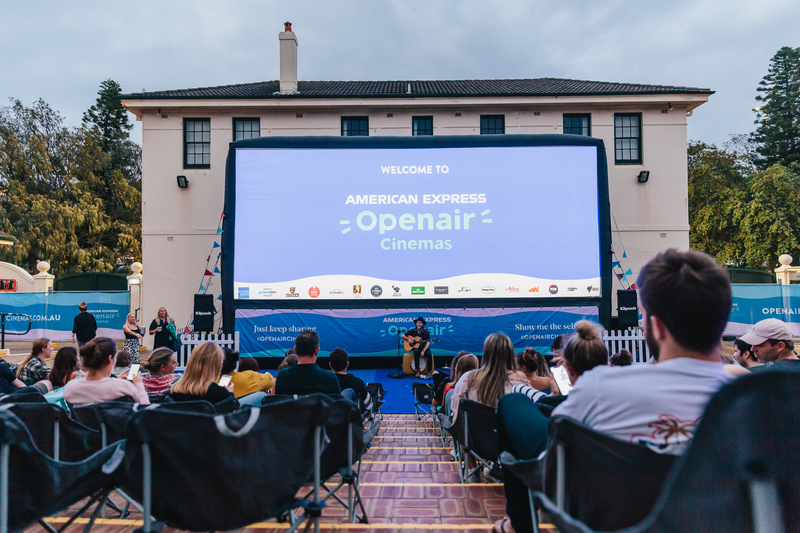 The Openair cinema is gracing Sydney’s summer with another season of more than 70 events this year. With locations in both the Inner West and Bondi, we don’t have to miss out on the warm air of Sydney’s summer nights in order to enjoy a cinematic experience anymore. The new location inside Bondi pavilion tucks you away into the amphitheatre, fortified against the risk of windy nights. The blessing of being under the stars can’t be so protected against the risk of rainfall, however. As I hurried inside the pavilion adjacent to our iconic Bondi beach, I was handed an abundance of free rain ponchos from the optimistic staff. Ironically, I was there to see Aquaman, and decided to embrace the staff’s suggestion of that evening’s special “4D experience”. Even in the wet weather (through which the event will continue unless it’s severe), I felt extremely comfortable nestled in my beanbag, blanketed in plastic and popcorn aplenty. Perhaps being a trouper is the prerequisite for the risk you take with Sydney’s moody weather, but I thoroughly enjoyed my trip to cinema beneath the stars, and could vouch for how much more wonderful it must be when they’re not shrouded by rain clouds. 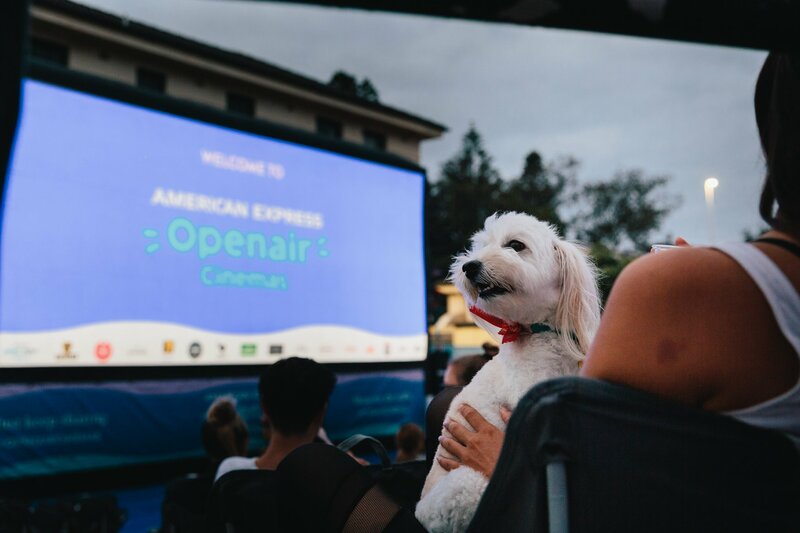 For American Express cardholders, you can even still indulge in the ‘gold class’ experience at the Openair cinema. You will have access to a different screen hosting beanbags, unlimited popcorn, blankets, complimentary drink on arrival as well as service straight to your seat. The menu was pleasantly sufficient, with beverages from Giesen Wines, Pimms, 4Pines and Black Devil Cider. My pizza provided by Salts Meats Cheese was divine, and the staff were helpfully comprehensive when it came to food intolerances. I would warn those enticed to attend: the “session times” are indicative of the time the venue will welcome you in, but not the start time of the film itself. The screening will not begin until the sun sets to allow adequate lighting, which with our daylight savings could mean 2 hours after the time advertised to arrive at the outdoor venue. Those anticipatory hours can still be enjoyed with what the event has to offer, however. A twilight drink in the picnic area to relish a social moment before voices are hushed, perhaps; the atmosphere is lovely if your schedule permits. The aqua adventure we watched that evening extended into our own experience, and that’s more than can be said from a cosy, safe indoor cinema. The Openair cinema is fantastic for film-goers looking for a fuller experience in these wonderful summer nights.